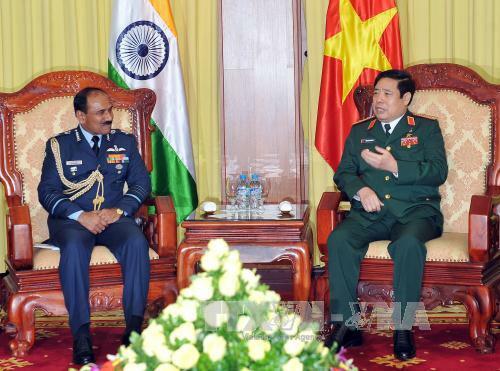 HA NOI (VNS) — Indian Air Force Chief Arup Raha's official visit to Viet Nam is expected to bolster friendship, mutual understanding and trust between the two countries, particularly in defence relations. Minister of National Defence General Phung Quang Thanh expressed these sentiments yesterday while receiving Raha, who is also Chairman of the Chiefs of Staff Committee (COSC). 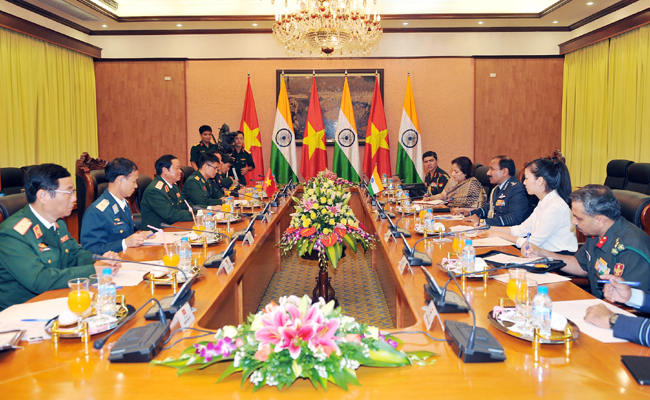 Thanh said India's assistance in the cause of national liberation and construction is valuable, adding that their bilateral strategic partnership in recent years has been beneficial across the board, including in defence. The partnership has been increasingly promoted since the two defence ministries signed the Viet Nam-India joint vision statement on bilateral defence relations from 2015-2020 last May. It benefits both countries and contributes to peace, stability, development and prosperity in the region and beyond, Thanh said. Raha said India attaches great importance to its relations with Viet Nam and is impressed with the Southeast Asian country's achievements in national liberation and construction.